Isn’t Teeth Whitening Really Expensive? Not Anymore Hazelwood! Teeth whitening is one of the easiest and most cost effective cosmetic dental procedures that a patient can do in order to improve their smile. When it was first introduced, this procedure was considered a high-end and expensive treatment, but this is no longer the case. It is very available/affordable and most dentists offer this treatment. Here’s a look at two option that your dentist can provide. 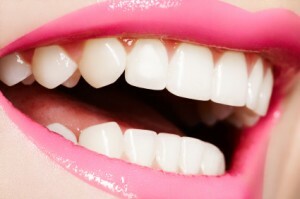 Tray Tooth Bleaching: Your dentist can create a custom tray that fits around your teeth. He will give you a teeth whitening gel that you will squirt into the tray and wear every night or morning until you feel your teeth have reached the desired shade. This method will allow for even whitening which is often a problem with over the counter whitening kits. Professional Teeth Whitening: This is an in office procedure. You may have heard about this under the name of Zoom whitening. This is a near instant whitening procedure that can whiten your teeth by several shades with one treatment. If you don’t like the idea of hassling with trays everyday, this may be the procedure that is right for you; however, if you feel that your teeth are more sensitive than normal, you may still want to consider the traditional trays because they tend to cause less sensitivity than quick professional treatments.